Fitness is something that we all desire but very few really want to work for. In this new era of technology, the amount of exercise that an average human does is decreasing day by day. We are spending more time and energy on our smartphones and laptops rather than on our health and fitness. This lifestyle of ours might lead to severe conditions like obesity, diabetes and what not. But what if our smartphones start helping and motivating us towards proper diet and exercise? Now that would be the perfect use of technology, wouldn’t it? So keeping that in mind we have brought you a list of the best health and fitness apps of 2018, which will help you maintain a healthy lifestyle. 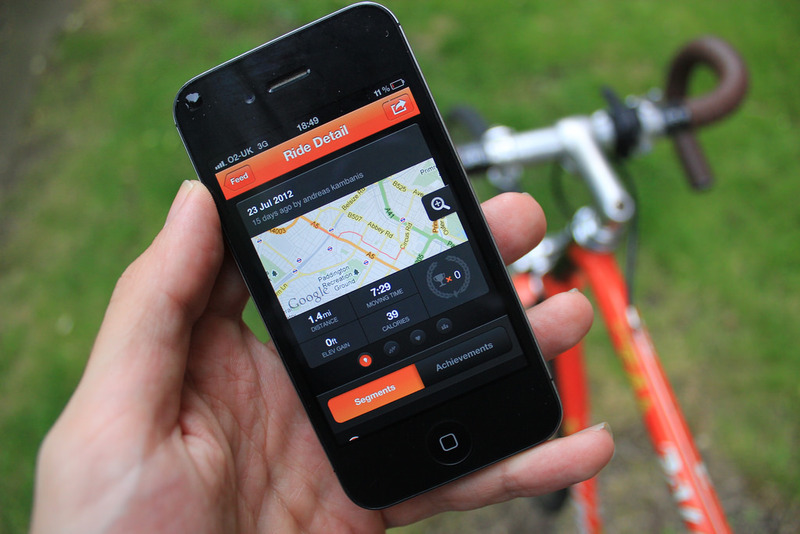 Strava is a social network for all the fitness enthusiasts out there. It aims to connect all the athletes in the world thereby creating a community that is motivated towards health and fitness. Strava has an amazing activity tracking ability. It is often said that people join Strava for its tracking ability but they stay for it’s motivating and competitive community. Strava’s activity tracker provides key statistics such as distance, pace, speed, elevation gained and last but not the least, calories. It also displays an interactive map of your activities. You can compare your statistics with other members of the community. You can share pictures of your workout and a healthy competition is encourages through its leaderboards, in which everyone wants to be on the top. As the name suggests it helps you go from couch potato to running 5K in just 9 weeks. It is ideal for beginners who are just picking up running as their fitness routine. Couch to 5K provides you with a nine weeks plan, in which workouts occur 3 times a week. The individual workout lasts for 30-40 minutes includes jogging and walking, warm-up and cool-down exercises. It also includes features like motivational tips and workout logs that help you track your progress. If all the above is not enough, Couch to 5 K also includes a built-in music player for you to jam to your favorite playlist. Whenever I see those actors or models with an amazing body I often tell myself that it is easier for them to stay fit as they are being paid for it. Although at the back of my mind I always knew that it was just an excuse. But giving it a second thought, money can be a really good motivator for fitness and GymPact helps you earn money while staying fit. It is a bet driven app where you can earn money if you commit to your exercise routine and others don’t. But if you miss too many workouts you can end up losing money and trust me, that is the best kind of motivation. In a hectic schedule, it is sometimes very difficult to find time for a workout. Sworkit is a simple and customizable app that helps you with just that and much more. Sworkit has been rated number 1 by the American College of Sports Medicine, for its exercise standards and quality of instructions. After entering your personal data into the app, you have to select your goal, i.e. you want to get fitter, stronger or leaner. Each category contains specialized exercises. The exercises come from different domains like Strenght, Cardio, Stretching, and Yoga. The app is free to use for the first 7 days, but for unlimited access, you would have to upgrade to premium. Yoga includes some amazing set of exercise that helps you improve your balance, stability, and flexibility. Yoga also helps in relieving stress and in improving your sleep. Pocket Yoga is an amazing app that includes a self-guided yoga practice that can be fit into your schedule. It also includes visual and detailed voice instructions that guide you through every pose. Pocket Yoga has 150 images that illustrate the correct pose along with posture. You can keep track of your progress using the inbuilt workout log. With the introduction of augmented reality into games, developers have been able to bring the gamers out of their lair into the real world. Games like Pokemon Go have made sure that its players walk enough if they want to enjoy the game. Now the challenge of a game can be a really good motivation for exercise, Don’t you think? Well, it doesn’t matter what you think as the whole USP of ‘Zombies, Run!‘ is to integrate an immersive running game and audio adventure into your workout and take it to a whole new level. After installing the app, you will be provided with an immersive backstory. You are told that you are a runner who is a survivor of the Zombie epidemic and has to reach the last known human survivor camp. Your job will be to rescue survivors, defend their homes and gather supplies. You can save lives by just running in a park or even a treadmill. You would have to speed up when being chased by Zombies and we all know that saving a life is the best kind of motivation. Although the game is paid, you will get the first four missions for free. These are some of the best and innovative apps out there that can help you achieve your dream body. But they don’t perform miracles so each one of them is basically useless if you are not willing to work for your aim. So do check out these apps and share this article with your friends and family, wishing them a healthy year ahead and do write your thoughts in the comment sections, we would love to hear from you.